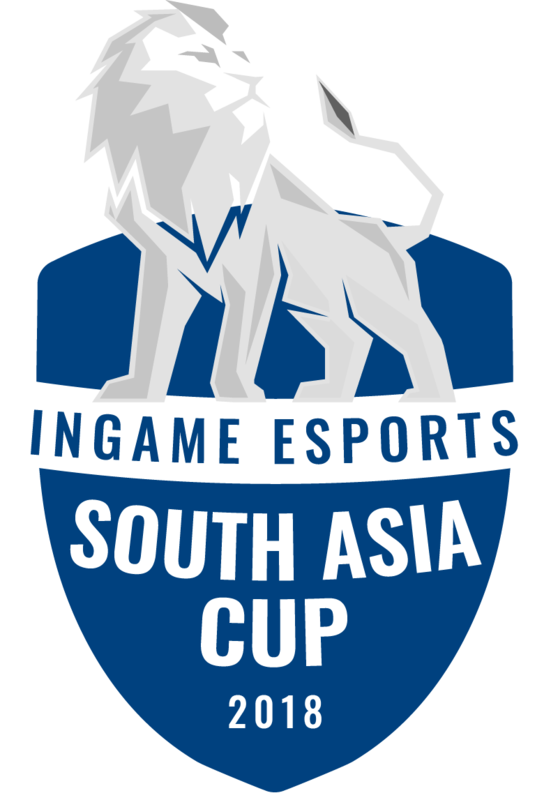 This page contains the game-specific rules for IGE South Asia Cup League of Legends. These rules must be followed in conjunction with the General Competitive Rules of the IGE South Asia Cup. The tournament format for the IGE South Asia Cup will be broken into 2 stages – round robin group stage leading to a grand finals. The round robin group stage will be a single match bo1 round robin where each team plays against the other. At the end of the group stages, the top 2 teams will play a bo3 grand finals to pick an overall champion. 2.1. – All matches will be played on Garena servers. Players have to use the tournament accounts that are provided by the organisers. The accounts will be in Garena, and login details will be provided to teams when they are readying up for their match..
2.2. – By taking part in the IGE South Asia Cup, all teams and players acknowledge without limitation to comply with the rules set herein and especially with the decisions made by the tournament Staff. 2.3. – All competitors are expected to know and understand all the rules described here. Not knowing that a rule existed or that it was in place will not be considered as an acceptable reason for breaking said rule. 2.4. – A player or team’s name, icon, profile picture or logo may not contain any of the following: profanities, obscene language, gang affiliation, drugs, sexual material, offensive material, slander of organisers or it’s administration, partners or sponsors. 3.1.1. – A Team has to consist of at least FIVE players. 3.1.2. – Each player can be registered and can subsequently play for only one team during the tournament. 3.2.1. – There is no provision for substitutes at the IGE South Asia Cup. 3.3.1. – There is no provision for stand-ins at the IGE South Asia Cup. 4.1. – If by 10 minutes past the scheduled match start time a team doesn’t have enough players to play, the match will be deemed a walkover to the team that is present with its full roster. 4.2. – A team CANNOT start a game shorthanded. Both teams should necessarily have 5 players and there can be no games with 4 players on either side. Any team with players missing after the grace time provided will be considered as having forfeited the match. 4.3. – In a best of 3 games match, a maximum delay of 10 minutes in between matches will be allowed. 4.4. – Organizers will make every effort to inform the teams of scheduled match dates and times – but please note it is the responsibility of the teams to check their game time and date. Organizers will not be responsible to inform matches to teams. Not attending a match due to not being informed of the schedule is NOT an excuse. The team who completely destroys their opponent’s nexus or forces their opponent to surrender. Public chat can only be used by the team captains and/or Tournament Staff regarding game pauses, disconnections, etc. Team members are allowed to greet each other at the start and end of the match on public chat (i.e: GGWP, GLHF, etc) but should avoid using it during a match. No foul language is allowed on public chat and doing so may lead to the match being awarded to the opposing team and the offending team being disqualified from the match. Penalties for future matches may also be applied. Exploiting game or map bugs/glitches/flaws (“exploits”) for the purposes of gaining an unfair advantage is prohibited. Exploits that are not specifically named here are still prohibited but will be dealt with on a case-by-case basis. Staff reserve the right to decide what will be deemed as an exploit or abuse. The use of scripts are illegal. The use of any third-party addons, hooks, programs or wrappers that interact with or alter the game client, its appearance or behaviour for the purposes of gaining an unfair advantage is prohibited. Exceptions: Third party voice communication software such as (but not limited to) Teamspeak are allowed. Impersonating an eligible player by attempting to alias as them, using their LOL account or by any other method is prohibited and will result in the aliasing player and the player they are aliasing as being removed from the tournament. The Tournament Staff will have access to player IP addresses and other information to monitor accounts and players. Each team member must have his/her primary nickname or something very similar as his ingame name during all matches to be easily identifiable for referees, broadcasters, and viewers. What counts as similar is for the Staff to decide. The only additional information allowed in a player’s in­game name is clan tags or sponsor names. Team members are kindly requested to limit the use of profanity on in-game names/aliases as this degrades the value of the team and the tournament as well. All lobbies should be hosted ONLY by Staff. Under no circumstance should players join a lobby created by anyone else. The side and drafting order (selection priority) is valid for each game and each game needs to be treated individually. 8.2.1. – For online tournaments, the “first team (higher seed)” means the team mentioned first on the match page or bracket list posted. For example: if a match is between Team A vs Team B, Team A will be considered the higher seed. 8.2.2. – The team with Selection Priority may pick either their side of the map or the drafting order (first pick, second pick). 8.2.2.1. – Best of ONE game: The first team has Selection Priority. 8.2.2.2. – Best of TWO games: The first team has Selection Priority for game one. Game two is reversed. 8.2.2.3. – Best of THREE games: The first team has Selection Priority for game one and three. Game two is reversed. 8.2.2.4. – Best of FIVE games: The first team has Selection Priority for game one, three and five. Game two and four are reversed. 8.2.3. – In LAN matches, Selection Priority will be determined by a coin toss. 8.2.4. – When any games are awarded as walkovers, Selection Priority will still switch. Team managers/Sub players are NOT allowed in the game lobby. Random players are not permitted in the private lobby for any reason. League Referees and Casters have the right to spectate any game. The champion pool always consists of all available champions based on the champion account and might therefore change several times during the competition if a patch is released in between the tournament. Champions that are released or reworked 2 weeks prior to the tournament date will be banned. If there is an interruption to the draft, all the picks and bans up to the most recent ban or locked in champion must be selected by both teams when the draft is remade. Each team has the right to pause the game for a coherent reason by announcing it on chat. The game must not be resumed if paused until Staff specify to do so. If a player disconnects, the game is to be paused instantly. When the number or the duration of breaks becomes too high or long, Staff reserve the right to force the continuation of the game. Tournament organizers are not allowed to take a decision in these situations. The following rules only apply if a match is involuntarily interrupted due to a player crash, server crash, network failure, power failure, etc. These will most likely only apply to a LAN setting where such situations can be verified by Staff. – If multiple players disconnect, the server crashes or lobby shuts down or network fails and there is no match to be found when retrying, the lobby must be immediately rehosted and the game must restart from the last backup/save. – If the latest backup/save is in the middle of a critical action (as decided by the Referee/s), a previous backup must be used. In the event of a previous backup being unavailable the game must continue with the backup that is available. – If a backup can’t be found or used after a crash, the lobby must be rehosted and the game will restart. All players have to pick the same heroes and items as previously and must go to the same starting lane. After initial ‘creep’ contact, players may change lane. – In the event of a time issue, Staff will decide accordingly.